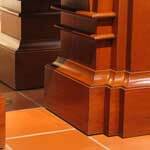 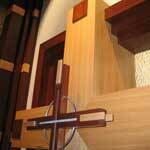 We also have the expertise to manufacture custom pieces as well. 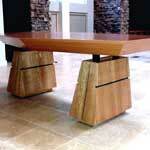 If you would like a custom designed piece, we will work with you to create a design especially for you. 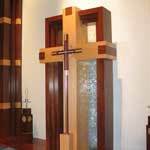 No matter what style you choose, you can be assured of quality craftsmanship and materials in each piece of furniture that The Marshall Company builds. 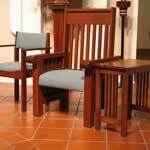 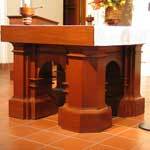 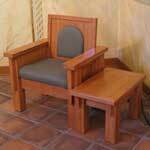 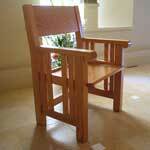 Custom mahogany presiders chair and table, Sacred Heart, Oceanside, CA. 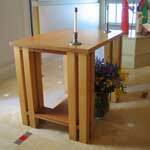 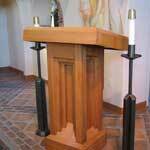 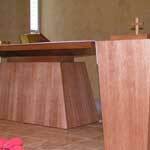 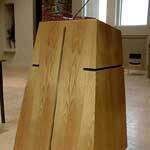 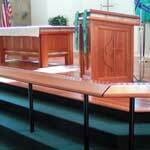 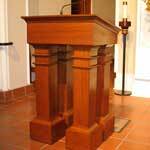 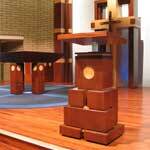 Custom lyptus communion table and pulpit, Vista United Methodist, Vista, CA.